Further to part 1 and part 2 in this series, I now want to add to this, by discussing the importance in coaching correctly to the different age groups, two of the most basic categories, catching and set position. My great friend, the late Bernatd Day was an inspiration to me, in the needs of and how to coach these different age groups. The following is based on his wise teachings. Bernie would always push for young keepers to catch the ball. Ok yes in goalkeeping, a goalkeeper will use any part of the body to make a save, after all a save’s a save… However and further to part 2 of this series, we can teach other techniques later in the young keepers development. For now though at the young age, his teaching was correct, in that these young keepers need to be drilled in the requirements to always try and catch the ball. Keeping the ball safe, first and foremost. His second teaching, one which the FA and also our Head of the Academy, Julia West encourage is getting the set position right. 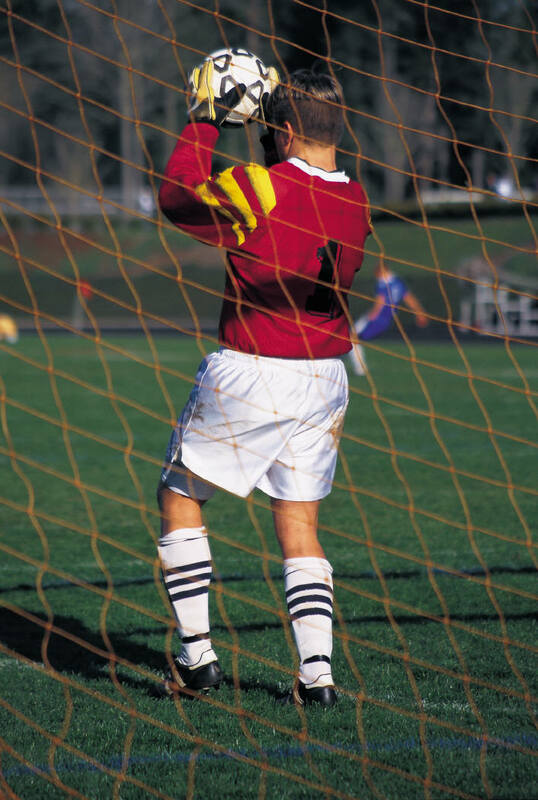 That is with hands out in front of the body and not as I saw one coach, drilling all ages of keepers, with their hands down by the side of the body… Hands down is like you see in adult football. Young keepers do like to copy the likes of Joe Hart, David de Gea, Thibault Courtois, etc. However, even though they want to mimic their idols, this is not the best way to start coaching young keepers. Bernie’s philosophy was to start with your hands up, as it was easier to drop you hands than raise them. Furthermore, with the hands raised, they are closer to catching a fast ball heading for the upper body and more importantly the face… Ok with your hands down, the face may the block the ball and be considered ‘a save’… Hmm, but blood from a nose bleed or concussion is certainly not the best outcome from a save. So hands up is the safest option. Our last session of 2014 before the festive break, saw lots of fun and games. Games that had our keepers and coaches smiling, but always with an emphasis on Goalkeeping. After the initial warm up, we had a relay race of two teams competing against each other doing SAQ (Speed-Agility-Quickness) exercises. We did this 4 times before finding an eventual winner. Apart from a good game of goalie wars, we also did last keeper standing, seeing our keepers pull out some ‘camera saves’. So good that this session went on for quite a while until we had an eventual winner… Well done Luke Deakin! Then it was over to the coaches to save shots from the keepers… Some really great shots too. The eventual winner was another Luke… Well done Luke Shearing! We also gave a prize for the best hat. Julia couldn’t resist giving it to Mr elf ears himself… No not Luke… Jack Sankey. All did well and all went a way with a well deserved present from the Academy. We wish them all and all our blog readers a very Happy Christmas! I have just found out, rather late I know, that my Goalkeeper coaching friend has passed away. I am deeply upset at this news and even though it got to me late it still had that hard hitting effect on me. Because, he was such a great man, someone who taught me so much as a coach, someone who taught my daughter to be a better player and person, and someone who had such a profound effect on everyone he met or worked with. His love was football and he had a love for developing footballers – the right way. Such was his passion, he helped out at so many places developing so many players… and even though it was a long drive away and as we are a not for profit academy could not pay him much, he still came to the Goalkeeper Academy as he loved helping all our kids and our coaches. I recently recalled a few of his jokes and even remember the stories he told me on a recent trip to Liverpool. He had such a great humour, you couldn’t help but love the man. He was an inspiration to so many. Footballers, Goalkeepers, Coaches… Me… Everyone learnt so much from him. We have lost not only a great mentor but a very dear friend. One of our Academy coaches, Bernard Day is again running his annual Pre-season Goalkeeping course. Bernard Day is an FA registered UEFA coach, with full CRB, FA First Aid, FA Safeguarding Children, Welfare Officer Workshop Accreditation and holds public liability. His courses are always fun and challenging, with expert coaching on hand from himself and his coaches. The training will cover all aspects of goalkeeping to get the season off to a great start! It is a 3 day course over Tuesday 27th August to Thursday 29th August 2013. Starting at 10 am and finishing at 3:30pm daily. Held at Braemar Road, Sutton Coldfield B73 6LS. Costs are £50 for the whole course or £20 per day. … And last night, was my proudest moment, when she picked up the award for ‘Most Improved Player’. Well deserved indeed. To her former Manager, who introduced her to Goalkeeping. To Bernie, a brilliant Goalkeeper coach and the person who inspired her the most, to develop her skill further in Goalkeeping. He has a great way with all ages of student and continues to help her develop at the Academy. To her current Manager and former Assistant Manager (who I took over from), who allowed my daughter to make her own decisions in goal, that if she needed help in the early days with goal kicks say, that it was her choice. This has really been a big catalyst to her development. That combined with her new team mates who play as one team, laughing together and developing together. A team where everyone improved because they all worked together to help each other. To the opposing Managers, as their comments along with our own observations were the reason she was picked out for this award. And finally to the Worcester Goalkeeper Academy, a centre that she went to, because she wanted to be as good as the lady who set it up, Julia. Julia and all the other many volunteer coaches who turn up each week (including myself), have really honed in on the areas in most need of development and built on all aspects of her game. This included the biggest hurdle of all, confidence… as at the Academy they also looked at the psychological part of the training and this truly has developed, as my daughter is now more confident in not only Football, but also in life. 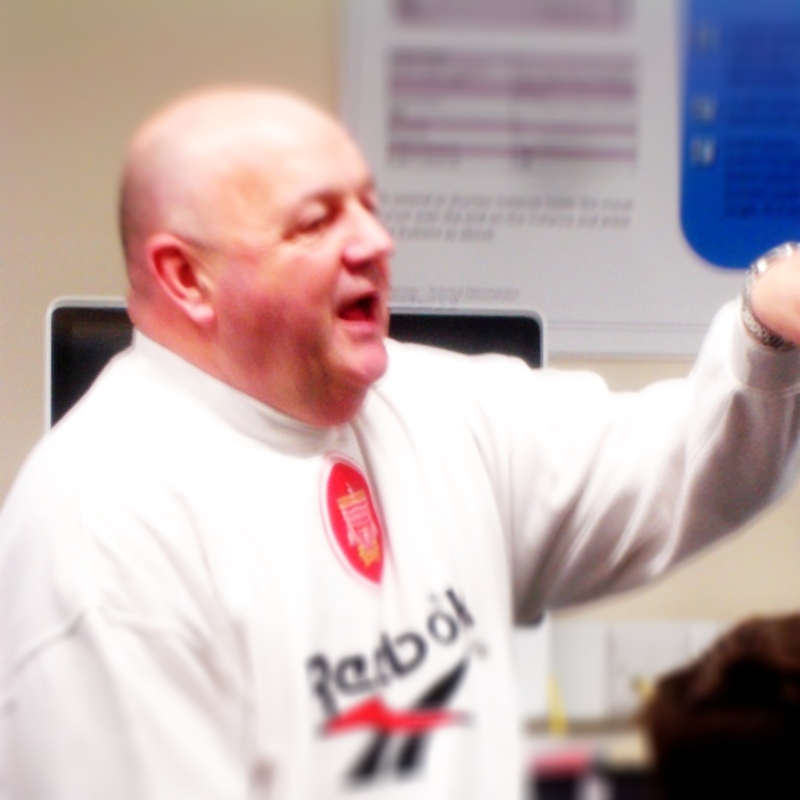 One of our Academy coaches, Bernard Day is again running his annual Goalkeeping course. His courses are always fun and challenging. This training will be jam-packed full and will cover all aspects of goalkeeping. What a great start to the season for any Goalkeeper! It is a 3 day course over Monday 30th July through to Wednesday 1st August. Starting at 10 am and finishing at 3:30pm daily. 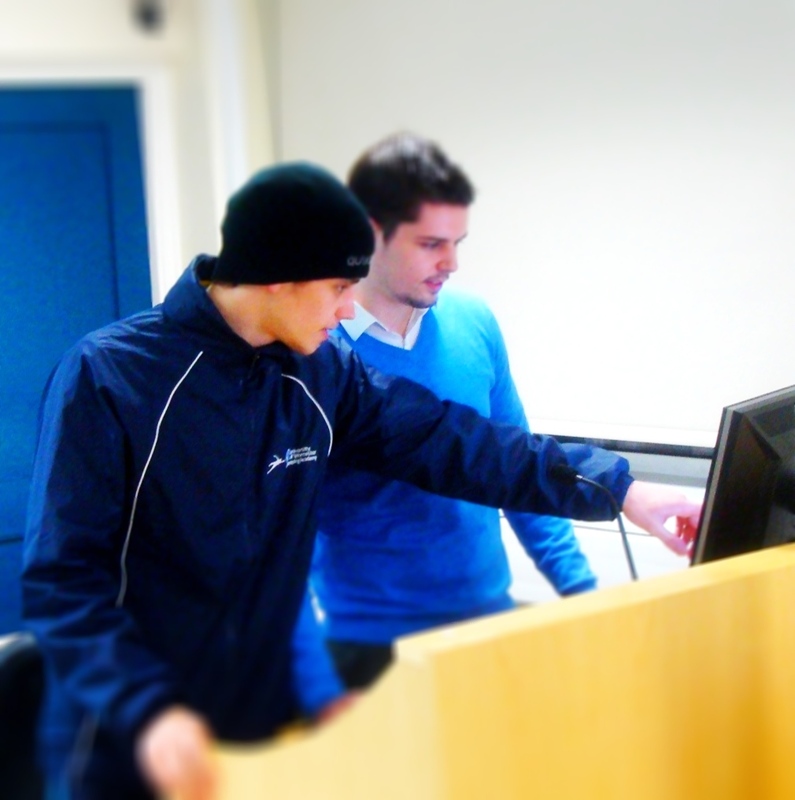 Costs are £45 for the whole course or £17 per day. Bernard Day, Senior Goalkeeper Coach at the Worcester Goalkeeper Academy. Qualified to UEFA B And FA B Football and Goalkeeping coach. A highly experienced coach, who was a professional Goalkeeper. Provided coaching for many professional clubs such as Aston Villa, West Bromwich Albion, Newcastle United, Manchester City, Walsall, and Hereford United. As well as coaching for schools and community coaching schemes. Having worked and played with some of this countries best talent understands that coaching needs to be relevant to the player, the situation and today’s game. Bernard’s aim therefore is to coach Goalkeepers the right way of doing things. Where his philosophy is simply to help Goalkeepers keep the ball out of the back of the net! Jon Barrington, Goalkeeper Coach at the Worcester Goalkeeper Academy, with the main responsibility for Psychology and Performance Analysis. 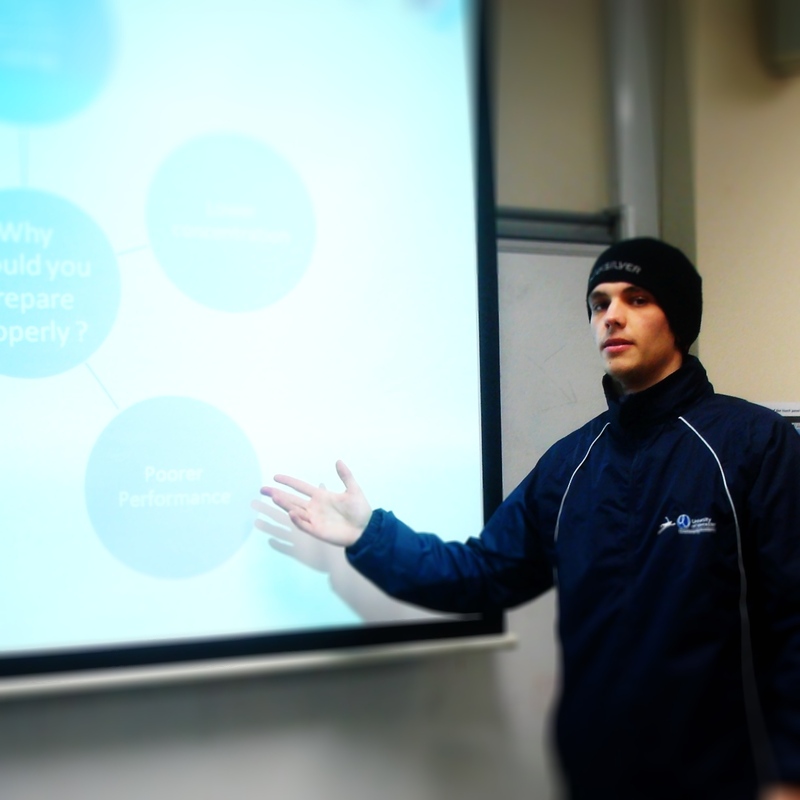 Qualified to Level 1 Football coach and in the final year of a degree in Sports Psychology. Has run Goalkeeping sessions for the Kidderminster Harriers community scheme. Provided cover for Julia West at the Kidderminster harriers Girls Centre of Excellence Goalkeeping sessions. Fortunate enough to be coached by great coaches including Bernard Day and Peter Bonnetti and wants to pass on the experience to the next generation of Goalkeepers. Being tall, agile and having good hands and feet may provide the basic foundations of a good Goalkeeper. But, hard work, enthusiasm and commitment makes a great goalkeeper. I have not always been a Goalkeeper (well definitely not when I was in nappies), partly because I was not very good at catching or throwing balls and even though I watched football never really either had the encouragement to take it up or the confidence to want to! As a child I was very shy, not really having the confidence to make friends that easily. I see now by looking back that perhaps being involved in a team sport such as football could have actually helped my social skills and maybe even helped me make friends. I say that because I have seen this with my daughter. She was someone who found it hard to integrate, however now she has developed as a person through being part of a team. And through further specific coaching we have seen her confidence improve too. So how did I get into Goalkeeping? Pretty much the same as my daughter, she wanted to play out field at first, because like most children interested in football it’s all about scoring goals. Most first team professional goalkeepers started in much the same way too! We both went in goal as nobody else wanted to and we just were willing to help out the team. But once in goal, coupled with a leaky defence meant that we actually got more action than outfield and actually enjoyed making the saves. We both got the bug. 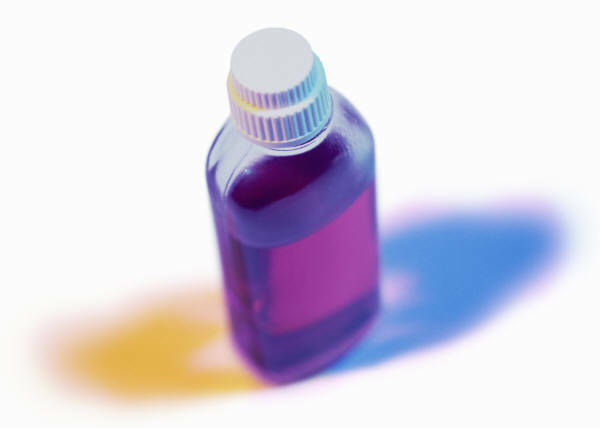 And believe me… it is infectious! So how did I get into coaching? My daughter went further than me and actually wanted to improve further through coaching. So she went to various coaching sessions. 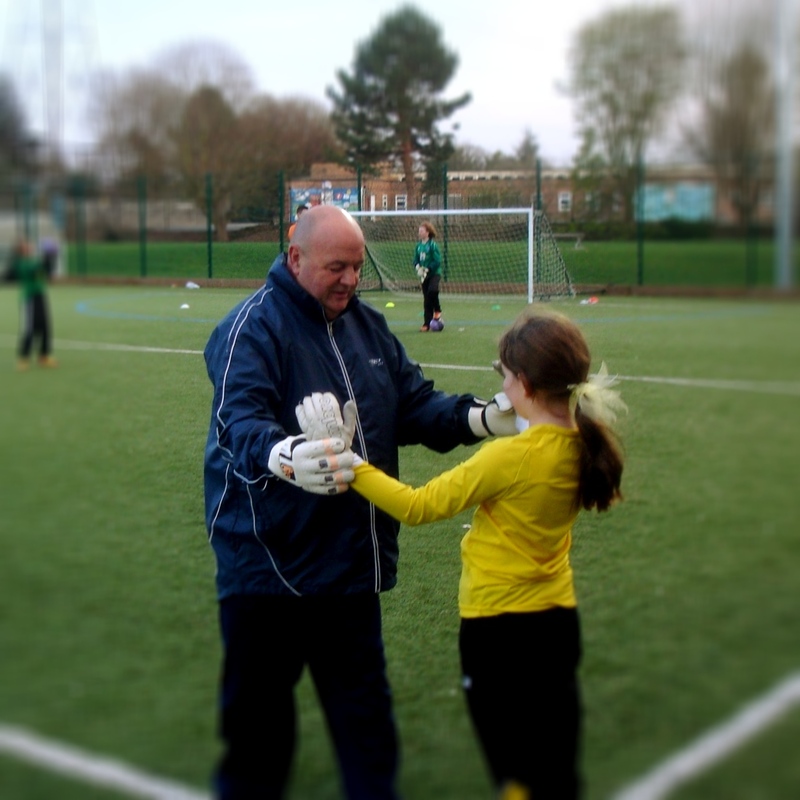 One, with Bernard Day (now a coach at the Worcester Goalkeeper Academy), with a style of coaching that meant she enjoyed Goalkeeping even more. And the other sessions with the Worcestershire FA, who later invited me to attend a coaching event. The Worcestershire FA coaching event was to give an understanding of goalkeeper coaching to enable parents and outfield coaches to provide support to their goalkeepers. It certainly opened my eyes further. I was already helping out in a limited capacity, but this allowed me to get closer to my daughter and provide the support and encouragement she needed from me to improve. So now I not only had the bug for Goalkeeping but coaching it too. Subsequently being invited to attend and achieving the FA Goalkeeping Level 1 coaching award. 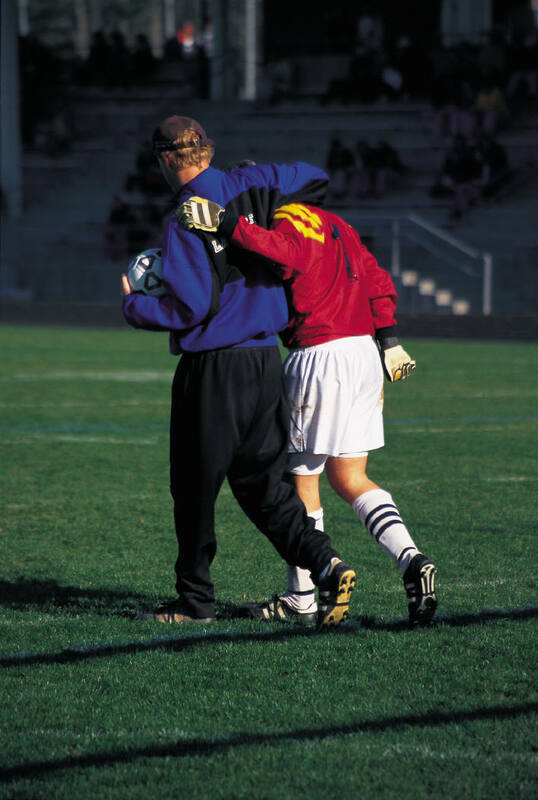 Why is Goalkeeper Coaching good medicine for me? It was good before I was a coach, when I would take my daughter to the various coaching sessions as I would get out more away from the television. A chance to unwind watching my daughter having fun and getting involved. But its even better now. Through providing her with the support she needs has brought my daughter and I much closer together. And even though a stroppy teenager at home, at a match or coaching session we get that quality time needed. And through coaching now at the Worcester Goalkeeper Academy, I have something keeping my mind busy, something that is fulfilling, when seeing a child develop through a session plan I developed and above all it has got me fitter and healthier. Perhaps I did not need to write this as you can already see how committed and passionate I am about Goalkeeping and Goalkeeper Coaching through this blog! 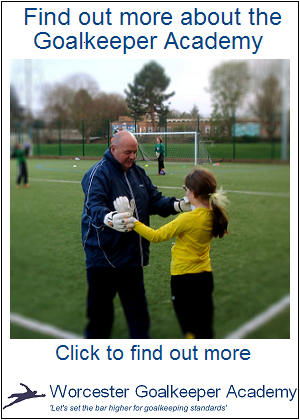 Goalkeeping and Goalkeeper Coaching I can recommend it to you all!